Should you buy a laptop or a desktop? How fast does your computer need to be? What about all-in-one desktop computers? What’s the best desktop computer when buying on a budget? 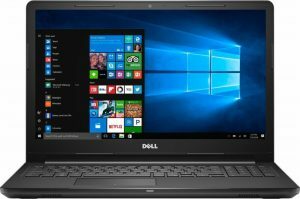 What laptop is best for home office use? What screen size is right for your laptop? 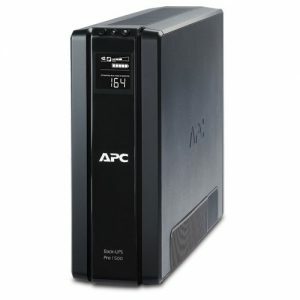 Battery Backup For Your Home Office PC? Almost anyone working from home will need a computer of some kind for their business, even if it’s just for doing their taxes and answering emails. Where most small business owners get confused is choosing a home office computer with the right specs. After all there’s so many different types of computers out there, how can you possibly know which computer you should buy? The worst thing you can do is walk into a computer store with that “I have no idea what I’m looking for” face, because you’ll wind up leaving with $2,000 worth of computer gear you not only don’t need, but cost you way more than you needed to spend. Computer salespeople can smell a clueless buyer, so never show up until you know exactly what you need. But there’s the problem – you still don’t know, right? Never, fear because by the time you’re finished reading this guide you’ll know exactly what computer you need for your business. All you need is to answer one simple question: Do you need to work from multiple locations, or just from your home office? Now, you might have this kinda hipster-ish notion that you’re going to work from home some days, and then from some local coffees shop other days, but that rarely works out the way you think it will. So, the first real step here is to be honest about the type of work you do, and buy a computer for that purpose. 1. Will you need to work away from your home office? Yes? Then you need to invest in a laptop. 2. If the answer to the above question is “No” then a desktop will do you just fine, with your smartphone covering the gaps. There’s also the possibility that you might need both a laptop and desktop computer, but this is the exception rather than the rule. There are very work-from-home careers that require both, so don’t go spending money you don’t need to because, in the end, one or the other computer is going to wind up gathering dust. Now that we’ve got the question out of the way we need to look at some of the basic stuff you need to know to make an informed buying decision. Even though every computer you see might basically look the same, the important differences are all hidden away inside the case. One of the questions most new computer buyers have is “How fast should my processor be?” Again, the best way to choose is to look at what you need your computer for. This wasn’t me playing some weird psychological/NLP trick on them – I just hated seeing people spend more money than they needed to. The net result though was that I outsold every other person in the company…without even trying. We’re not going to spend a lot of time here digging into the technical aspects of what desktop computer processors do because that’s not what you need to know. Instead we’re going to break down the type of processor you can buy based on the type of work you’ll need it for. I only refer to Intel CPUs here to keep things straightforward. 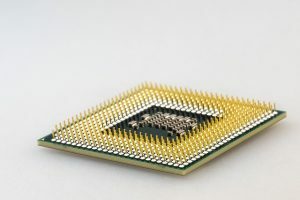 Any computer featuring a Celeron processor is 100% entry-level and computers using this type of processor are cheaper than everything else for a reason i.e they’re the bare minimum you need in terms of performance. Suitable for web browsing, using MS Word, or sending emails, but you can forget about gaming or any kind of video editing work – you’ll wind up pulling your hair out in frustration as everything slows to a crawl. The magic happens in a teeny, tiny piece of silicon in the middle of that chip. These are the next step up in terms of processing power and with enough RAM are more than capable of running multiple programs, including Word, Photoshop, and a few web browser windows. There might only be a marginal price difference between a Celeron-based system and one with a Pentium J or i3 processor inside, but there’s a huge difference in performance. These are ideal for medium intensity tasks, including some graphic design, video editing and desktop publishing work. They’re more than capable of running several programs at once, and with enough RAM and a decent graphics card they can handle all but the most high-end computing tasks. Core i5 systems are very affordable, so they’re popular with small businesses that want the best computer for their money. This range of processors sits at the top of the food chain when it comes to computing power. A brand new i7 system with plenty of RAM can munch through video editing, 3D design, and anything else you can think of. Processing power at this level comes with a price tag to match, but if you genuinely need the fastest computer on the market, then get one with a Core i7 processor. RAM stands for Random Access Memory, and is the temporary storage space used by computers when they have files open i.e. in a graphic design package like Photoshop. The simple rule with RAM is more is always better, but you don’t need to go nuts. If you’re running a 64-bit operating system like Windows 10 then you’ll need at least 4GB of RAM, but ideally 8GB. If you’re going to have a lot of programs open at once then aim for 16GB of RAM, but 8GB is more than enough for most small business computers. Again, the simple rule here is that more hard drive space is always better, simply because you can fill up a small hard drive faster than you can possibly imagine. As a rule of thumb aim for a laptop or desktop computer with a 1TB (terabyte) hard drive, because it gives you more than enough storage space for millions of documents, photographs or audio files…and some games. The good news is hard drives are getting cheaper as each year goes by, so extra storage costs less than the year before. When it comes to choosing which type of hard drive is best, you can choose from either a standard mechanical SATA drive, or an SSD (Solid State Disk) drive instead. SATA drives are reasonably fast and reliable, and are also very affordable. SSD drives are mind-blowingly fast, but are very expensive. For example, a computer with a SATA hard drive will take between 30 seconds and several minutes to boot up, whereas a computer with an SSD drive can boot in 10 seconds – literally. 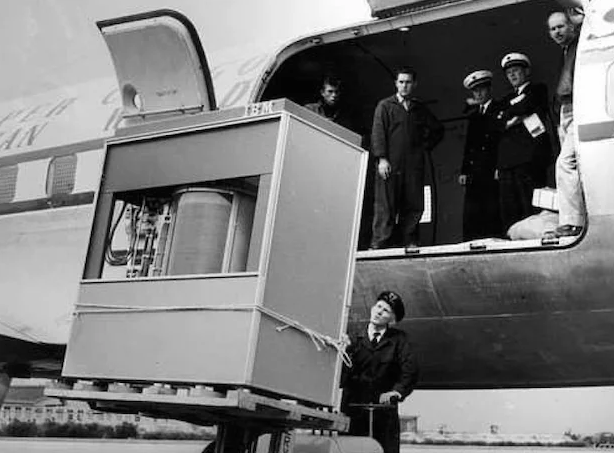 Hard drives have come such a long, long way since the 1950s. This is what a 5MB hard drive looked like in 1956. Yes, really. The other major difference is that a SATA drive can last for 10 years whereas an SSD drive might roll over and die after just 3 or 4 years. SSD drives are what you choose if you have an unlimited budget and need the fastest home office computer money can buy, but if that’s not a factor then a standard SATA drive will do just fine. I use Sandisk SSD drives in my own computers. Here’s something that’s become popular again after many years – a computer where the screen and internal components are integrated into one single unit. This type of computer can save you a huge amount of desk space, while providing all the computing power you need. But the sleek looks and integration come with a price tag that will probably leave you sitting down with your jaw open – kinda like what happens you see the price for the latest iMac. A typical Core i5 computer – with a reasonable amount of RAM and hard drive storage – will cost you around $800. An equivalent all-in-one desktop computer with the same spec will set you back around $1,000, and that’s just for the entry-level model. Once you start looking at more powerful processors, faster graphic card options, bigger screens and more RAM, then you can quite easily spend $2,500 on this type of computer system. Do you need it? That all depends on how much money you have. This type of computer looks great, takes up almost no desk space, but they’re stupidly expensive. Another pet hate for me (and this is the computer repair guy in me speaking) with all-in-one systems is that if one component fails then the entire computer stops working. What I mean by this is that if a hard drive fails on a normal desktop it’s simply a matter of getting your local computer store to replace the hard drive. With an all-in-one system a failed hard drive means returning the whole computer for service, leaving you with an empty space on your desk, and a lot of hours where you can’t work i.e. you’re not earning money. Would I buy an all-in-one computer? Hell yeah! Am I going to? Not until I have $2,500 I have no other use for. This is a whole lot easier than it sounds, but goes way, way beyond the scope of this article. What I will say is that buying the components and assembling the computer yourself can save you several hundred dollars, if you purchase wisely. The actual process of building a home computer shouldn’t take you any more than a few hours, as long as nothing goes wrong. And that’s where most newbies run into problems – they put everything together, flick the power switch and nothing happens. Then you’re left there scratching your head because you have no idea what to do next. There are dozens of different reasons why this might happen, but if you don’t even know where to start then you’ll wind up really frustrated and angry enough to start throwing computer parts across the room. And this is where the metal meets the meat, so to speak, and it’s time for me to give you some kind of recommendation. Now, understand that I’m recommending a home office computer with these specs based purely on the fact that you need to buy one on a budget. If you have magic lamp with a Genie in it then you don’t need to listen to my advice. The above computer spec will cost you about $450 brand new, or you’ll pick up a used model for about $200. If you want to save yourself a small fortune on your first home office computer then look for refurbished computers – they’re usually ex-government stock and in absolutely perfect condition, but cost about $150 for a computer that will do everything you need it to. The word “budget” is entirely relative to what state your personal finances are in i.e. one of you might have no more than $250 to spend on a computer, where somebody else “…absolutely can’t spend any more than $800” on a computer for their business. Before we go any further on the subject of what to look for when buying a laptop, I want to refer you back to my earlier advice about being honest about what you need your computer for. If, for example, you’re going to be working away your home office all the time, then a laptop makes perfect sense. Just don’t fall into the trap of thinking that you should buy a laptop because everyone else has one. 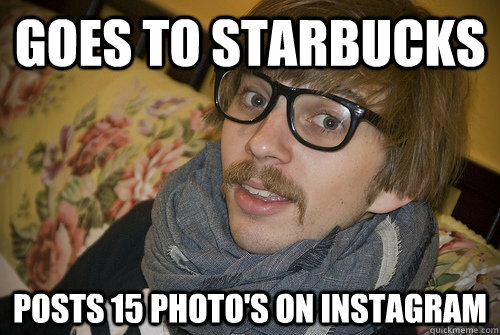 Most of the “novelists” and “entrepreneurs” you see sitting in Starbucks every day spend most of their time on YouTube or chatting with their buddies on Facebook, or some other social network. Very few of them are actually working, because that means being truly productive, and being really, really productive means not being surrounded by distractions like the ones you find in coffee shops. I’m being productive right now, and doing that means sitting in a locked office with my headphones on and listening to my BrainFM focus tracks, or my “workflow” playlist on Spotify. If you telecommute for a living, then a laptop makes perfect sense but that probably only accounts for about 2% of the people reading this. Laptops do offer you a huge amount of flexibility in where you can work, but just be honest with yourself about how much of a requirement that actually is for you. So, what is the best laptop for a small business or person working from home? Again, it all comes down to what type of work you’ll be doing. This is the entry-level when it comes to laptop processors, which is fine as long as you don’t expect blistering speed, because you’re not going to get it. Celeron-based computers are fine for basic word-processing, spreadsheet or database application use, web browsing, email, and watching videos online. They’re affordable, consume very little power, but just don’t have enough processing power for programs like Photoshop, or any form of video editing. A laptop with a Core i3 processor is a huge step up from one using a Celeron, and you’ll notice this when you’re running more than one program at any one time. Just bear in mind that a Core i3 is still at the entry-level range of processors, and your laptop will feel sluggish if you’re trying to stream video to your TV and do some work at the same time. Then again, you probably shouldn’t be watching TV while you’re working. This is the workhorse of laptop processors, and in many cases is better suited to certain types of tasks than its more powerful cousin, the Core i7. A laptop with 8GB of RAM and a Core i5 processor should be able to cope with pretty much anything you figuratively throw at it. It has enough power to handle multiple applications without slowing to a crawl, and yes, with the right GPU you can play games on an i5 laptop. Look, let’s be honest here – the only reason you’re buying a laptop with an i7 processor is because you want to play games when nobody is watching. Or you’re a professional video editor who needs to stay mobile. Or you have more money than sense. Or maybe a combination of all of these reasons. Seriously though, an i7 laptop is a powerful beast, and an expensive one, so be certain you need the processing power before handing over your hard-earned money. Also, if you’re environmentally minded bear in mind that the faster the processor, the more power it consumes, generally speaking. High-end processors also tend to only have a 25% increase in performance over “slower” processors, but they’re often 100% more expensive. Depending on what brand you’re considering you’ll find there are several laptop screen sizes to choose from, ranging from 10 to 17-inches. Smaller screen sizes mean your laptop will be far more compact, but staring at a 10 or 12-inch screen for long periods of time will lead to eye strain. Screens of that size are fine for occasional use, but not if you have to stare at it for several hours each day. You only have two real choices for a laptop you’ll use for work – either a 15 or 17-inch screen. Physically larger, giving your more digital desktop space to work with. This makes them ideal for people doing any kind of desktop publishing, or design work. The downsides of a 17-inch screen is your laptop will be bulkier and heavier as a result, and bigger screens will drain your battery life in hurry, as well as being more expensive to buy. Oh, and it can be a real pain trying to find a backpack for a laptop with a screen of this size. Offer a much smaller working area, but it’s usually more than enough for web browsing, word-processing, and all the other stuff you do on a day-to-day basis. They consume less power, your laptop weighs less, and most laptop backpacks come in 15-inch sizes by default. There’s a “coolness kudos” to owning a laptop with a ginormous screen, but that wears off pretty quickly when you have to lug it around an airport with you, or when you’re trying to find space on a train or airplane to get some work done. 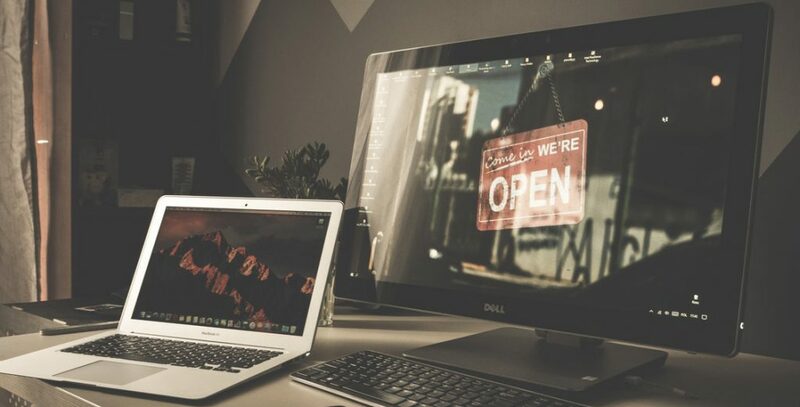 An easy way around the screen issue is to set your laptop up with dual screens, using a desktop screen as well as the built-in display for when you’re working from home. 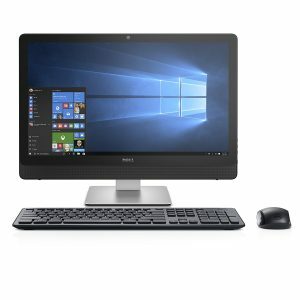 This gives you the best of both worlds because you have large screen to work on at home, and only have to rely on the smaller laptop display when you’re mobile or working away from your home office. We cover the topic of dual display setups further along in this article. There’s absolutely nothing worse in the world than buying a laptop based on specs, only to realize that typing on it is the equivalent of repeatedly hitting yourself in the hands with a hammer. Not all laptop keyboards are created equal. In fact, some of them leave you feeling like you’ve developed gigantism in your hands overnight, and that you should be using a typing wand instead of your hands. That’s why it’s so, so important to actually test the keyboard on any laptop before you buy it. If that’s not possible, then read as many in-depth reviews of the model as you can to find out if typing on it is comfortable or not. Yes, you can always use an external keyboard, but you shouldn’t have to. Is the keyboard really that big a deal? It’s not if you enjoy having to retype pretty much every sentence you write on one. Apart from that it’s a pretty big deal. Windows 8 did its best to make this technology popular with computer users, but it’s kinda died a death over the last few years. There was a time when you’d walk into a computer store and literally every computer on display had a touchscreen, but the demise of Windows 8 (and good riddance) has left a lot of computer users wondering if laptops with touchscreens are just a gimmick, or if they’re actually useful? The only single reason you should buy a laptop with a touchscreen is if you have a specific need for that, which could include basic accessibility for you because you suffer from a physical impairment, or you might be a digital artist or designer who needs to interact with the screen in this way. Apart from that you should probably avoid using laptops featuring touchscreens because they’re heavier, they’re far more expensive, and they drain laptop batteries quicker than a politician can take a bribe. The day will come when using touchscreens on laptops and desktops makes perfect sense, but we’re just not quite there yet. If you need to be mobile with your laptop then battery life is an important consideration. Battery life on certain laptops can be incredibly short-lived. Well in some cases it can be as little as 3 hours. That’s why sub-laptops and notebooks with 13-inch screens are so popular with journalists, etc – they have a battery life of anywhere from 8 to 14 hours, depending on usage. For anyone working from home on a laptop you can stick to whatever specs you want, because you can charge it as often as you need to. For those of you who need a laptop with the longest battery life possible then you need to look at models with smaller screens, usually in the 11 to 13-inch range and a next-generation CPU. Why get one with the latest processor? Simply because they’re designed to drain less power when in use, and even less power when your laptop is asleep or in hibernation mode. Here are some other tips on how you can get more from your laptop battery life. On its own your laptop provides a whole lot of flexibility and power. But what about the times when you miss using a keyboard and mouse to work on your stuff? Or when you need more USB ports, or a way of hooking your laptop up to an external monitor. That, folks, is when you need a docking station, or what’s also referred to as a port replicator. A laptop docking station is a small piece of hardware that your laptop connects to, effectively converting it into a desktop computer. These are very popular in office environments where everyone has a laptop because they need to stay mobile, or work from home, but need all the functionality of a desktop computer when they’re actually in the office. The benefits of a docking station include being able to connect a keyboard and mouse to your laptop, dedicated Ethernet ports to physically connect to a network (far more secure than using any type of Wi-Fi connection), you can connect an external monitor, instantly giving you a dual screen setup , plus you get access to additional ports for speakers, headphones or USB devices. What type of docking station or port replicator you can use varies from laptop to laptop, but it’s worth getting one as part of a laptop bundle when you buy it. Doing this gives you the additional peace of mind of knowing that you own the right docking station for your laptop, as opposed to some piece of generic junk that gives you nothing but hardware headaches. You have two basic choices when deciding what kind of display setup you want for your computer: One large monitor, or dual monitors. This applies to both laptop and desktop systems, and there are pros and cons to each. Most new computers are sold with a single large screen, measuring anywhere from 22 to 27-inches. This is a huge amount of digital real estate to have, and is ideal if you’re just going to use your computer for gaming, watching movies, etc. Where ultrawide monitors fall down – even though they really do look amazing – is when you’re trying to multitask. You can Alt + Tab between windows, or try tiling them to create layout that works for you, but no ultrawide screen can improve your productivity in the way that a dual screen setup can. Dual monitors do, however, take up a huge amount of desk space, so if you’re working on from a really small desk you simply might not have the physical space to accommodate dual screens. You also need a desktop PC with dual graphic output ports (SVGA, DVI or HDMI) and the corresponding cables to get everything set up correctly. If you want to connect a second screen to your laptop it’s as easy as simply plugging your laptop into its docking station, and once Windows is configured properly, your desktop will be shared between both screens. What puts most people off using a dual screen setup is the perceived cost, because isn’t it stupidly expensive to do this? In fact you can get good refurbished computer displays for under $100, including 19-inch and 22-inch models. In fact, most suppliers of refurbished office computers sell dedicated dual screen PC packages, often costing less than $200. I left writing this section until the very end because it just made sense for you to read all the other information first. At least this way you can now make a more informed decision. They also act as “power conditioners” for your computer, limited voltage spikes and “brown out” problems that can play havoc with sensitive electronics. The run time on a UPS (how long it keeps your computer powered on for) depends on how much power your computer consumes, and the capacity of the UPS itself. A basic UPS – costing about $80 – will keep your computer running for about 8 minutes. If you’re willing to spend $400 – $800 then you can get one that keeps your PC running for an hour. Spending over $10,000 on a UPS means your computer can be kept running for two full days. Do you need a UPS as part of your home office setup? Well that depends, but usually only if you live in an area where power outages, spikes and brown outs are common. Apart from that just save your work often, and keep any important data backed up to some Cloud-based service. My preferences there are Dropbox and Mozy. 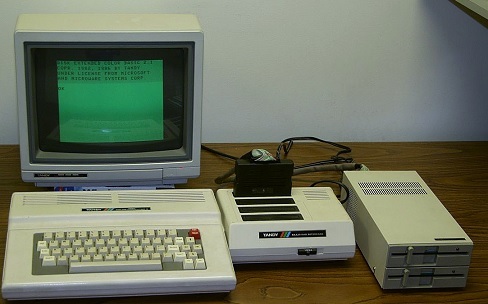 I’ve used both solutions over the years, mainly because I’ve owned a home computer of some kind since I was 11 (that’s a long, long time ago), so keyboards back then we’re just wired – they were part of the computer itself! Most new computer systems will come with a wireless keyboard and mice as standard. They’ve become so cheap to manufacture it just makes sense to do that, plus manufacturers save on the cost of making cables for them. The beauty of the wireless keyboard and mouse are you avoid the tangle of cables across your desk, around your screen(s) and spilling out of the back of your PC. They’re the neat and tidy option when it comes to human interface devices (that’s the fancy term for keyboards and mice). Is there a downside to wireless peripherals? Oh yes there is, and that’s keeping them charged. I’ve lost count of how many times I’ve had to drive to the nearest garage at 2am because the batteries in my keyboard or mouse decided to simply die without warning. It’s my own fault for not keeping spare batteries to hand, or using alternating sets of rechargeable batteries. But it still made me want to bleed from my eyes because the batteries always went to NiCad heaven at the absolute worst possible time. Another ongoing annoyance for me was connectivity issues, where the keyboard might decide to stop responding and type the letter “F” across my screen several hundred times, and then just go back to working flawlessly again for several days. No amount of driver updates, software tweaking, or brand spanking new wireless keyboard sets ever made these problems go away permanently. In the end I got tired of having to fiddle around with wireless peripherals and dusted off a faithful old wired Microsoft keyboard and mouse set. This is just a personal choice for now, but the clutter of cables has been annoying me for several weeks. I have a touch of OCD when it comes to how my desk is set up, so I absolutely HATE having cables strewn all over my desk. Hate it. So, there you have it – everything you need to know about buying a computer for your home office. I never planned for this article to be so incredibly long, but hey you have all the information you need in one place, or least I hope you do. Do let me know if I’ve forgotten anything, or if you think I need to cover any specific area in more detail. More than happy to update this page based on your requests! ** Quick note – I don’t discuss Apple products here because they’re just far too expensive for most people who are setting up a home office for the first time. I also don’t like Apple products because they’re overpriced for what you get, under-powered in technical terms, and have less connectivity than your average box of breakfast cereal.